After plenty of years of only standard square images and videos, Instagram opened up their platform to allow for portrait and landscape orientations. What?! That’s right! Life just got a little bit sweeter. These new Instagram sizes are a huge deal! While most users don’t really care about their Instagram picture size, for those of us using Social Media to grow our business or brand, this makes repurposing content a lot easier. 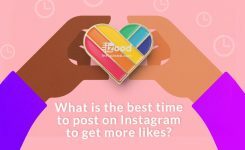 On top of that, the added variety makes Instagram a lot more interesting, more appealing, and more of a competitor to other platforms that we use. These 3 image orientations allow for greater versatility in creating all of your images. That is always a good thing, but it also means that you have to understand the constraints that are given. Don’t worry though. Like I said, I went to work picking everything apart so you don’t have to. Keep reading to get the scoop. As I have consistently done in the past with my social media image templates, I’ve gone ahead and created a template for those of us looking to create custom graphics for Instagram. Feel free to add your email below and you can download my templates for free! The templates include all of the sizes noted in the infographic at the bottom of this post. Use them as a starting point (like a blueprint) for all of your custom Instagram graphics. The standard square image on Instagram remains to be shown at a maximum of 600×600 pixels. This has been pretty much the same since day one. It should be noted though that Instagram stores a version as large as 1080×1080 pixels. However, even on the largest of screens, it seems they still display a maximum of 600×600. My highest recommendation is to create images that are a minimum of 1080×1080 as they will give you the highest resolution asset for reuse on other platforms. Additionally, as more and more screens become higher in their pixel density, you will be future-proofing your images from being too small. It’s also worth noting that square video has been found to be the most successful video size ratio across social networks. For Instagram landscape images, the smallest I have tested on was at 1920×1080 which Instagram then displayed at 600×337. As it turns out, though, Instagram ended up storing a version that is 1080×607. 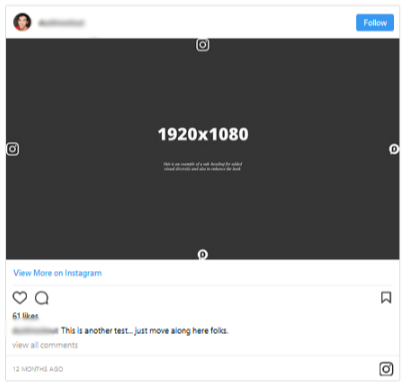 So the trend here is that no matter what size image you upload, Instagram is resizing it to a maximum width of 1080px and displaying a version with a maximum width of 600px. Landscape videos also have a maximum display size of 600×336.5 (or 1200×673 in full view or retina display). This is very close to a typical 16:9 ratio that we see as the current cinematic standard in film & television. Vertical images (or portrait) will display at a maximum of 480×600 (or 920×1200 for retina display). However, it looks like Instagram is storing the photos at a maximum of 1080×1350 on its servers. Vertical videos are, well… pretty complicated. They are displayed at a maximum of 481×599.484, making this a complete nightmare for graphic designers to mock-up (since pixels cannot be divided into fractions). Okay now, why in the world does Instagram want to make such odd calculations to its vertical videos? I really have no idea, but it’s something we just have to work with. I am all about making life as easy as possible, so it irks me a little. You know what though, not everything is in our control so we have to just roll with it. Instagram Stories has ultimately been a wild success. Although it’s basically a Snapchat clone, people have taken to it like wildfire. As such, once Instagram released the ability to upload images to your Stories, people started getting very creative with the graphics they used in them. Now, the problem with this is that the dimensions are dependent on the device that the Story is being viewed on. So this makes it rather difficult to standardize. However, my highest recommendation is to take a landscape 16:9 ratio approach, or in pixels that would mean 1080×1920. As long as you give enough whitespace around the edges, you should be fine. Personally, I think you’re going to see two kinds of users: the traditional and the people who like new things. The traditional users will stick to their squares and be fine with that. They have gotten used to it and want to maintain their purist culture. The people who like new things will embrace these new dimensions and create a more diverse stream of visual content. Things will definitely be a bit more interesting. If I were to bet, I would say that much like Pinterest we will see the taller images (portrait) getting much more love than the square or (especially) landscape photos. The reason for this is that Instagram is still a mobile network, by a long shot. Being a mobile-dominated network this means that people’s habit of holding their phone in portrait will give the portrait images/videos a much better viewing experience. They will naturally cover more screen real estate garnering more attention. 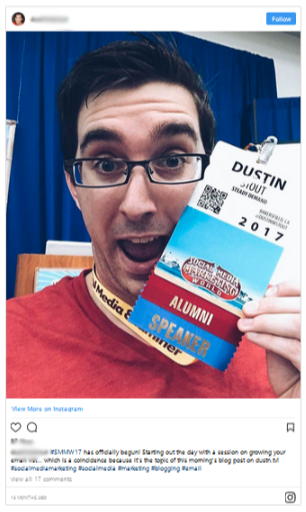 So don’t be surprised if you see me update my Social Media Image Templates soon to include a new template or two. Be sure you’re subscribed to my Insiders list to make sure you’re notified when they’re updated. What does this mean for Boomerang? As a small aside, Instagram’s Boomerang circa 2015 has been an added app feature to pair alongside Instagram (although not limited to Instagram) for a one-second burst containing five photos. It has some competitors like Google Photos but there are some unique characteristics of the app. It has a minimalist style, which makes using the app so easy. It is also really easy to transfer it to other social media platforms, and as a result, it makes sharing TO Instagram, Facebook, etc. also super simple. It can actually break up the mundane static energy of photos on social media platforms with its animation. Since the burst is so eye catching you are almost guaranteed some attention from your followers. The only issue might be that it can actually cause some disjointedness for some users (or make them dizzy lol) so they will quickly scroll past it. So maybe it’s strength can also be its weakness? Depends on the viewer I guess. All that introduction to say, do the changes to size and dimension apply to boomerang? Yes, yes they do. Once you take the burst you can transfer it to Instagram. In Instagram, you can apply the same size and dimension attributes that you would to a photo to the burst. 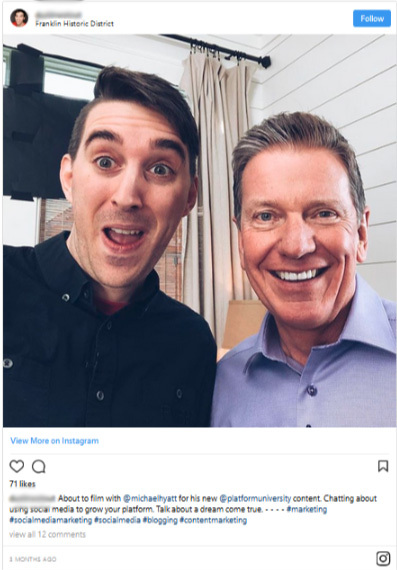 In regard to Boomerang, I think, again, it sheds light on how Instagram is always trying to innovate and keep up with the Joneses. They keep re-establishing themselves and, so far, it seems their solidified foundation is one that is immovable. Ultimately it is a wonderful thing that Instagram is switching things up by providing more options for users. I think it is a change for the better and reveals a lot about how Instagram listens to its users. They not only listen but deliver. Because you read all the way to the end of the post (Woohoo! ), I wanted to thank you (for real) by giving you this easy reference infographic of all the Instagram sizes. 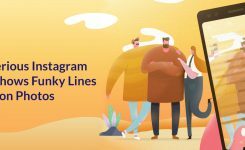 Use it as a guide for when you’re creating images for Instagram from outside of Instagram so you can pull them in without worrying about cropping. 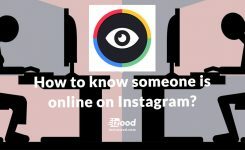 How to know someone is online on Instagram?